These two clusters are in the constellation Puppis at declination -38. NGC 2477 is the cluster of faint stars at the lower left. 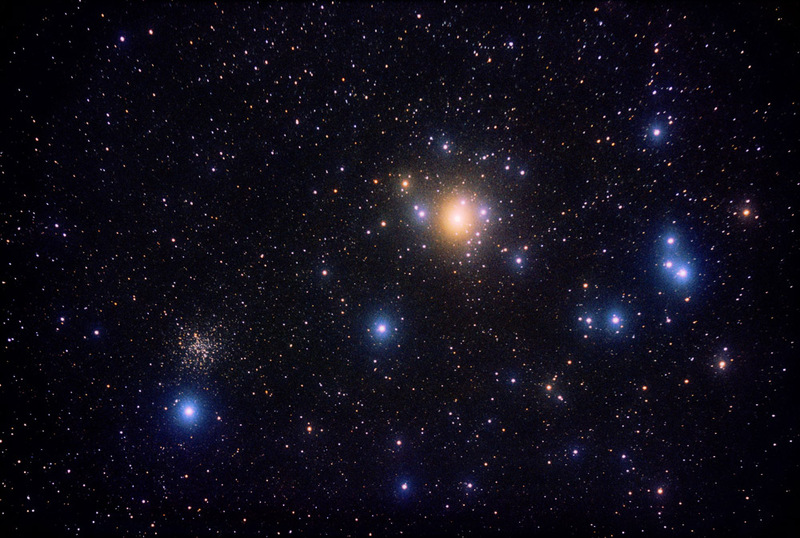 NGC 2451 is the course cluster of stars around the yellow star (c Puppis, Mag 3.6). The night was hazy but it made for nice halos around the stars.